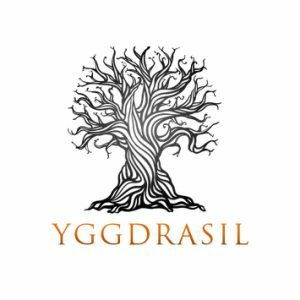 Yggdrasil Gaming revives an ancient tell with their next release! Rumour has that Yggdrasil Gaming could release a new game around April 24th themed around the Swiss legend of Wilhelm Tell. It’s a story that many are familiar with as it portraits a little boy tied to a tree with an apple on his head. In fact, Wilhelm Tell even if a Swiss folk hero does bear some similarity with Robin Hood. Because he too was an expert archer and encouraged people to rebel against power. As we all know Yggdrasil is excellent at bringing to life novel inspired games. Many British players have had the chance to try Jungle Books, Beauty & the Beast and Holmes and the Stolen Stones. So surely this upcoming slot will also captivate players with its strong storyline and impressive mechanics too. On first glance, it appears that Wilhelm Tell is for everyday pleasure seekers. The game has 5 reels, 3 rows, 20 paylines and a high RTP of 97%. Yggdrasil has not yet revealed the volatility of this slot. But given the bonus it offers and the max win of 7500x a player’s stake, it’s fair to assume it’ll be a very volatile game. The core mechanics include Stacked Wilds, Reel Nudges, Multipliers and Free Spins too. And in true Yggdrasil fashion, the Free Spins bonus is meant to be thrilling. Indeed, players will have access to 3 different Free Spins bonuses. The first one could reward 10 Free Spins with 5x multipliers. The second bonus could give 5 Free rounds with 10x multipliers. And lastly, players who are keen to get their hands on big wins can risk it all on 1 Free Spin with a 50x multipliers. As we said above, Yggdrasil has not yet confirmed the official release date of Wilhelm Tell video slot. However, generally speaking, this provider releases new slots around the 24th of every month. So undoubtedly, when the game is ready, LeoVegas should be one of the first operators to launch it for desktop and mobile play.